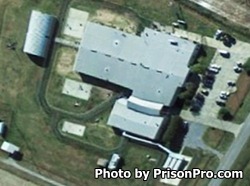 Issaquena County Correctional Facility is located in Mayersville Mississippi. This prison was opened in 1997 and earned its last American Correctional Association Accreditation in 2011. This facility houses both long term commitment state inmates, and inmates who are awaiting trial. Offenders who are eligible can take adult basic education courses and earn a GED. Inmates can also participate in pre-release programs that help prepare the inmates for reintegration with society. In addition, inmates can take life skills courses and partake in level I, II, and III discipleship training. Currently we do not have the visiting hours for this facility, if you know the visiting times please leave a comment below. Contact the correctional facility at the number provided below for more information.